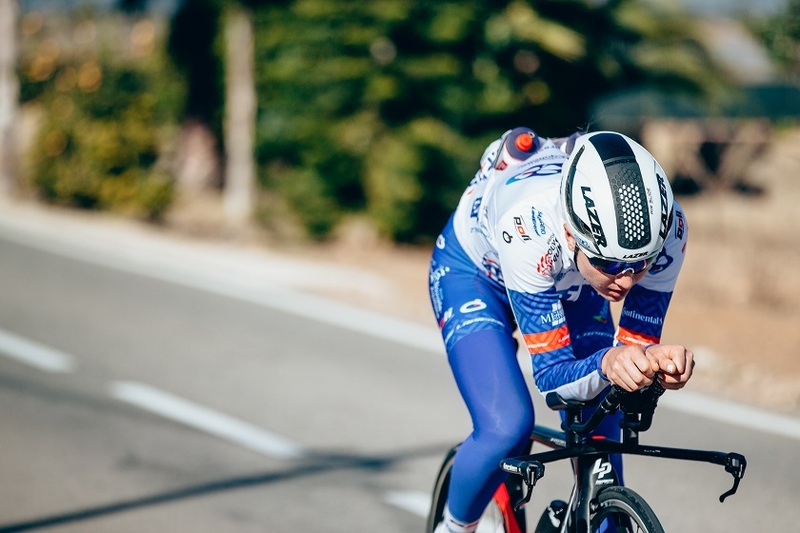 During her training camp in Cambrils Park Sport Village with the French team, the FDJ-Nouvelle Aquitaine-Futuroscope, she has told us some more things about her career. You can’t miss it! 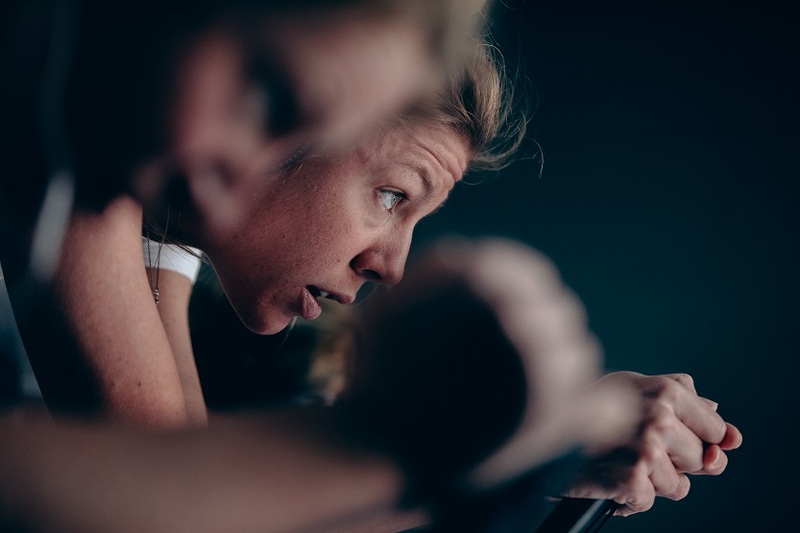 Shara Gillow has won the Australian National Championship four times, represented her country in the 2012 Olympic Games and in the last nationals of January 2019, she was awarded the most aggressive rider jersey. It's in her blood. When did you start road cycling? And when did you realize it could be your profession? I started cycling when I was around 19 years old. My first national championships in Australia was in 2009. I was 21 when I first came to Europe and I took up cycling. When I was younger, I never really had a sport that I did seriously. 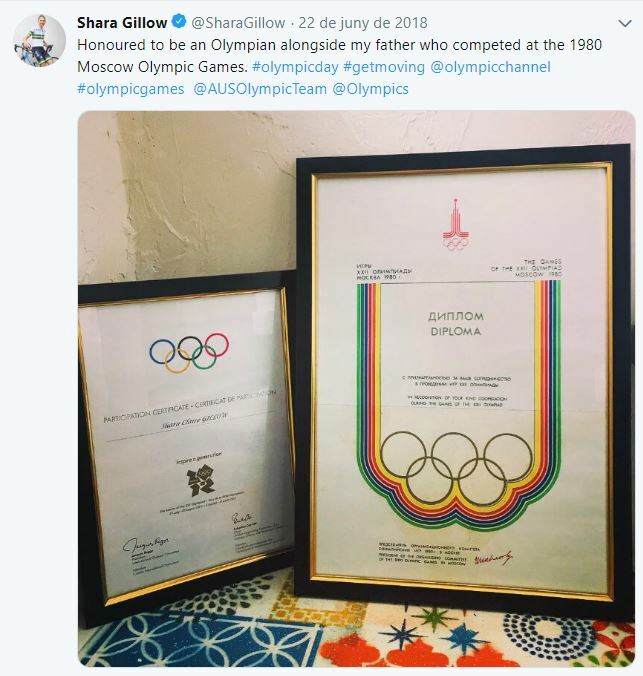 My father was on Olympic Cyclist, so I thought that “Yeah, I want to go to the Olympic Games one day” And that was always my ambition and... that’s why. Wow! is that not pretty late for someone who wants to reach the Olympic games? Yes, it all happened very fast. I am a pretty determined person… It was very special representing Australia at the Olympic Games and I think it’s a pinnacle for all sports people. The Olympic Games is something very special and hopefully, I can do another one in Tokyo! Let us insist that you made it only 6 years after taking cycling seriously! You father David Gillow was an Olympic cyclist too, he represented Zimbabwe in 1980. Did he had a great influence on you, or did he just let that passion grow up on you? My father was an Olympic cyclist, he never pushed me and never really wanted me to do it because he knows how hard cycling is as a sport. He was always encouraging me, but he never forced or pushed me. In fact, I come from a very large family and we all do different types of sports. My parents were always encouraging me and all my brothers and sisters just to do whatever we really want to do. We’ve got ballerinas, tennis players, nurses and builders in the family… So, it’s a variety. How do you remember your first ride in Europe, in the Giro Donna in Italy in 2009? It all happened very fast. My 1st national championships was in 2009 and then, a few months later was my first UCI big race in Europe. It was the Giro di Italia which is one of the biggest races for the women. It’s a 10 days tour in Italy and I guess I was throwing in the deep end, but it was something that I really embraced, and I’ve ridden that race I think ever since 2009. It’s a special race and I guess you either sink or swim, and I swam. Which was good, it was a great experience. Going back to the Olympic Games, you represented Australia in 2012. How did you find that experience, which is a dream for any athlete? The Olympic Games was something very, very, special for me. Like now, we are here in Cambrils Park Sport Village training for one reason, which is to be the best that we can. When you go to the Olympic Games, you have so many like-minded athletes around you, and you are surrounded by all of them. It’s so special if you win a medal. You are in an athlete’s village in amongst of people for all different sports, like here in Cambrils Park. It’s a special thing when you can represent your country in the Olympic Games. How do you evaluate your career within the French team FDJ-Nouvelle Aquitaine-Futuroscope after almost 3 seasons? This is my 8th year as a professional cyclist. I was 3 years with an Australian team and then I was chosen by a Dutch team. It’s my 3rd year in the French team and I really like it, but I think it’s a completely different culture to the Australian or Dutch team that I was on, it’s a little bit crazier, but it’s something that I really love. I am trying to learn the language a lot better, embracing the culture aspect and trying to teach and show the younger generation in the team. Give them a little bit of experience from what I’ve learned all over the years. What’s the main advice you give to them after your 8th year as a professional? It can be anything from nutrition, on the bike, with the exercises or doing different things in the races… It’s something that I think is nice to have that input just from the experience that I’ve learned over the years so yes, it can be a number of different things! It’s just to be a role model and a really good example as well. We have read that you love it when a race gets harder and harder… In fact, in the last Australian Championships Road Race where you got the 4th place, you were awarded the most aggressive rider jersey. Does the difficulty motivate you? Yes. I love a race that is really hard, and I think it brings out the best in me as it gets more difficult, like the races of attrition. I really like good tough racing. Would you say that cycling is a more mental challenge than a physical challenge? Cycling is mental and physical. I think you have to be physically talented, yes for sure, but you also have to be mentally strong. If you are not mentally strong you won’t do very well. So, it’s both things. Your second sports passion after cycling is surfing. Land and ocean. It looks like the perfect combination. What does the surf give you that you cannot find on the bike? Surfing I guess is more of a fun sport. At Christmas time I would get my surfboard and I would jump off the rocks into the water, you know… 27 degrees in the water as well… When you get up and you ride the waves it’s so much fun. It's more of an enjoyable side of leisure sport. But, if you are on a bike spending, sometimes up to 7 hours pedaling doing a 160 or 170 km I guess it’s a completely different aspect of training. I love surfing like my father and brothers. I think it’s completely different and you can’t really compare surfing to riding a bike, but they are both really fun. What do you feel when you are on the bike about starting an important race? 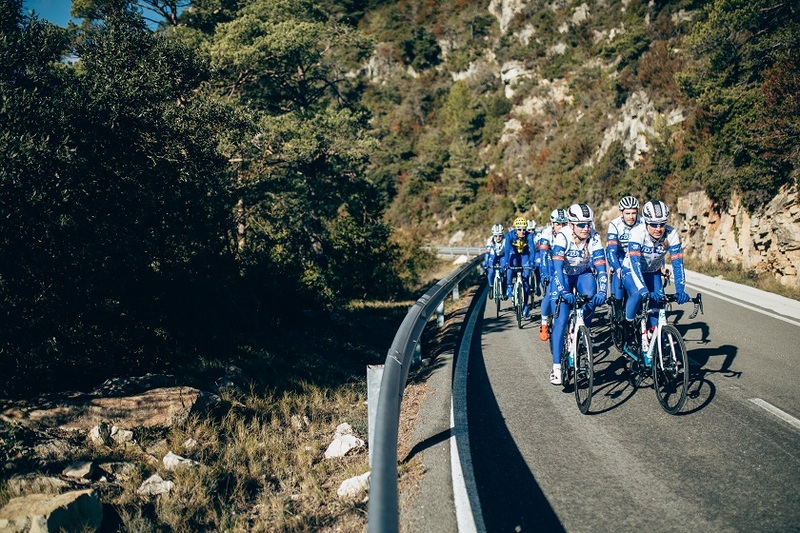 Cycling and the trainee aspects of cycling are great, and I love the trainee aspects, but I also love the racing and the adrenaline of the descending and riding in the peloton. It’s nice if you can get a victory too. That feeling it’s amazing. To win a race it’s very, very special. It’s a feeling that I really love when I am riding the bike, the fresh air, and the open doors… I think a lot of people can find enjoyment in it, even if they are not racing. Cycling it’s special to me, it’s brought me to the other side of the world from Australia to Europe and to all these different countries. I feel blessed to have ridden my bike and race all around the world. It’s very special to get that feeling in sports. What’s your next goal for 2019? My goal for this season is to take one race at the time and to do very well. I have a few races that I would really love to do well in, and as a team as well. I hope we have a really good season this year. There are a few classics, the one- day races as well and the stage races that I would like to do exceptionally well in… I guess we are starting with a really good foundation here at Cambrils Park Sports Village. We are getting really well prepared for our season.